With energy costs rising all around the world, every industry is now reevaluating their standards. The construction industry is no different. As far as Solar For Michigan is concerned, we are committed to making sure that the homes we build are energy efficient. However, energy efficiency is only half the battle. To really make a difference, we have begun providing our Lapeer construction projects with a renewable energy in the form of solar panels. The future looks increasingly like it is going to be solar-powered, which is why you should give Solar For Michigan a call today to find out how we can incorporate solar panels into your new construction, remodel or existing Lapeer building. Whether it’s a residential, commercial or industrial property in the Lapeer area, we guarantee that our renewable energy solutions will enhance the overall quality of life. For a free estimate on our solar panels, call (989) 325-1860 today. There are plenty of reasons to make the switch to solar panels. Some of them are environmental, others are economic or even personal. 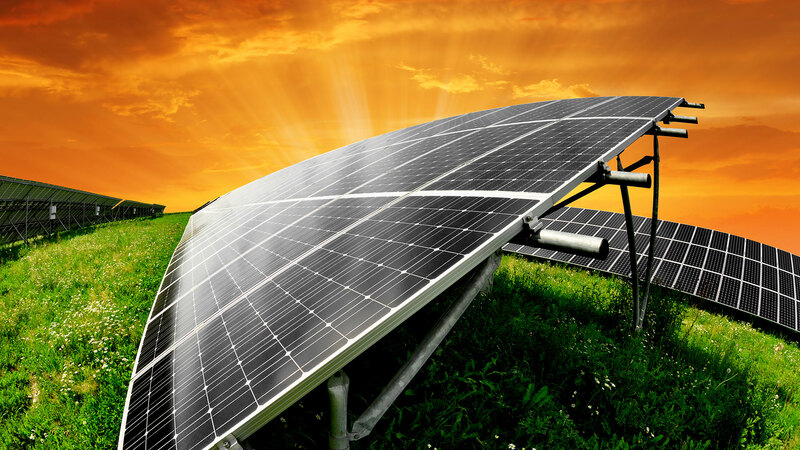 No matter what’s motivating you to investigate Langenburg Construction Company, Inc.’s solar panel services, there are plenty of benefits that make switching over a seriously attractive option. Whether you are a Lapeer home or business owner, electricity costs make up a large portion of your monthly expenses. When you invest in solar panels, you will generate your own power for up to 25 years. Even if you don’t produce 100% of the energy you and your building’s occupants consume, you will still subsidize a significant chunk of it and save a ton on your utility bills. There are two ways of looking at solar panels. They are either an expense or an investment. In our expert opinion, we recommend that you think of them as an investment because not only will they save you money on electricity in the long run, they can add significant value to your property. Studies have shown that people are willing to pay up to $15,000 more for a home that is equipped with average-sized solar panels. So, not only will they save you money on electricity, they could make you money if you ever decide to sell. In today’s world it’s more important than ever to be stewards of the environment. The future for nonrenewable resources doesn’t look so rosy. And there’s never been a better time to invest in renewable power sources like solar. Solar For Michigan’s mission statement is to help ease in a new era of renewable energy in the great industrial state of Michigan. When your Lapeer business installs solar panels on its property, you ease the pressure on the earth and on your wallet. While any Lapeer home or business is a great candidate for solar roof tiles or full solar panels, here are four businesses that are best set to benefit from the power reductions that working with a professional solar company can bring. Hospitals With their massive amount of roof space and significant power demands, hospitals in Lapeer are one of the better candidates for solar roof tiles. Solar energy is more efficient than ever before, and while it won’t be able to completely power the local hospital just yet, significant advances have been made. Hospitals, by the very nature of what they do, need a lot of space. And they’re usually built in wide-open areas, so they’ll get more sunlight. If you own a hospital or medical center, give us a call. You heal the sick all day. Let us help you heal the planet! Farms Life has become harder for farmers in Lapeer over the last few years. It seems that between corporate agriculture and the whims of state politicians, it’s tougher to make a fair living than ever. It’s a difficult balance between keeping the acreage that your family knows and loves and supporting and maintaining that property. Solar panels could be the answer your family farm is looking for. There are tax incentives that you can take advantage of for installing solar roof tiles, and the significant amount of power generation an open field can provide can be enough to manage many of your electricity needs. 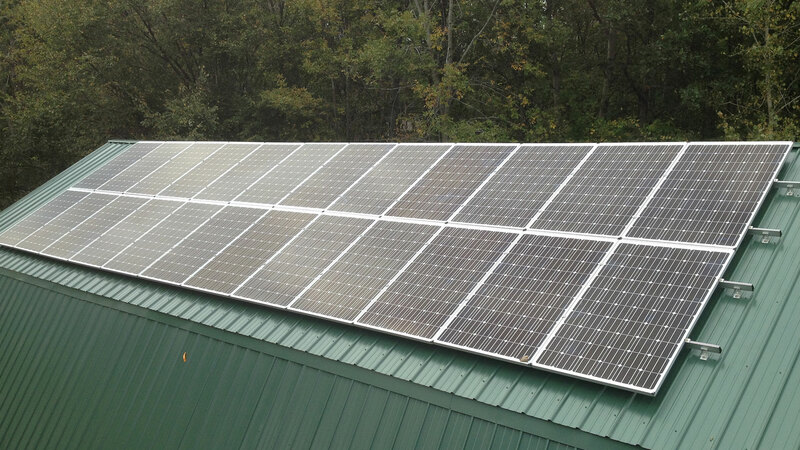 Let Solar For Michigan show you how solar can make a difference on your farming property today! Retail Stores While life in retail is tough for a lot of reasons, it’s blessed with relatively low power needs compared to most businesses, and has reduced working hours. Whether it’s a big box or an independent boutique, if you have a standalone retail space with access to your roof, give Solar For Michigan a call. Anyone Looking to Help Save the Environment and Reduce Power Bills The fact of the matter is, whether you’re a homeowner or a business owner in Lapeer, we all have to do our part to help save the planet. And that means lowering our carbon footprints and contributing to power generation that we can feel good about for generations to come. Solar For Michigan is one of Michigan’s top solar companies. Let us help you lower your electricity costs and contribute to the planet’s good health. Consultations require no obligation. Don’t miss your business’s day in the sun and call us today! Solar power doesn’t produce any harmful emissions. It’s a clean, renewable process that uses an easy-to-access natural resource. Switching over to solar power is the equivalent of planting over 100 trees annually, so you can feel good that you have done your part to help future generations prosper in Lapeer. 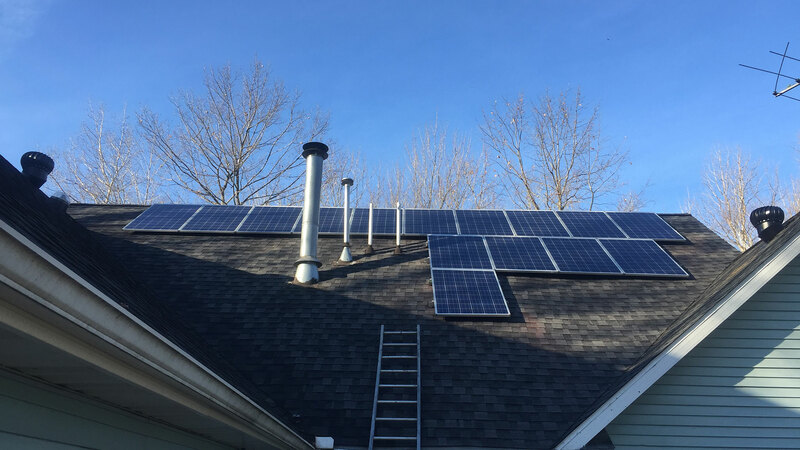 No matter what your reason for investigating solar panels in Lapeer, contact Solar For Michigan to learn more about the size and type of solar panels you might need to meet your home or business’s energy demands. All information provided is provided for information purposes only and does not constitute a legal contract between Solar for Michigan and any person or entity unless otherwise specified. Information is subject to change without prior notice. Although every reasonable effort is made to present current and accurate information, LinkNow™ Media makes no guarantees of any kind.